Could Frozen Be Healthier Then Fresh? This post brought to you by Frozen Food Foundation. All opinions are 100% mine. 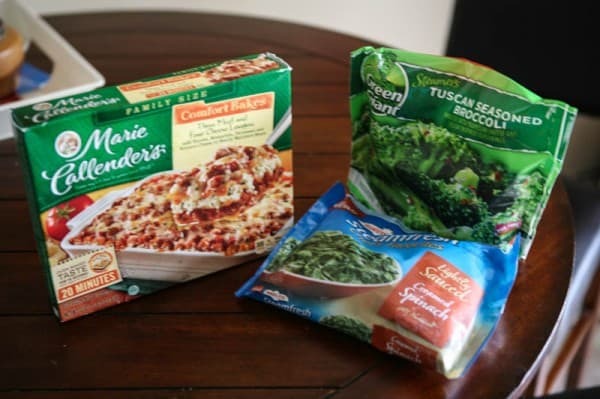 I’ve talked alot this year about the ease and benefits of frozen foods. 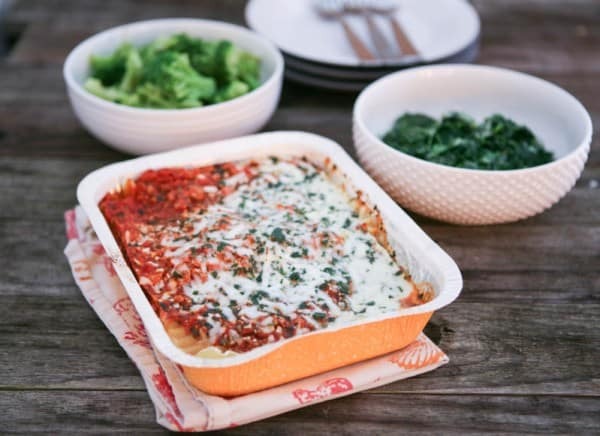 There are so many options of basic vegetables and sides located in the freezer isle, not to mention the many delicious entrees, lunch meals and after school snacks available. This past year we even purchased a deep freezer so that I could buy frozen foods and meats in bulk. It’s so much easier for me to go buy a several weeks worth of staple type items and have them on hand when I need them. Frozen foods are actually much healthier than most people think too. In fact they can be nutritionally equal to, and in some cases better than their fresh counterparts. Because frozen fruits and vegetables are picked and frozen at their peak ripeness, they have a high nutritional value. Freezing is simply nature’s pause button. A study conduced by the Frozen Food Foundation and University of Georgia revealed that, in many cases, the nutritional value, namely the amounts of Vitamins A, C and folate, of frozen fruits and vegetables is greater than that of fresh-stored produce owing nutrient degradation resulting from long storage time. The University conducted this unique study in partnership with the Frozen Food Foundation, a not-for-proﬁt organization dedicated to fostering scientific research, public awareness and education regarding the nutritional value of frozen foods. So it is possible, according to the study linked above, that frozen foods, frozen at their peak freshness, can actually be more nutrient dense than fresh foods that have been stored for long periods. Above is pictured one of my favorite quick, comfort meals. 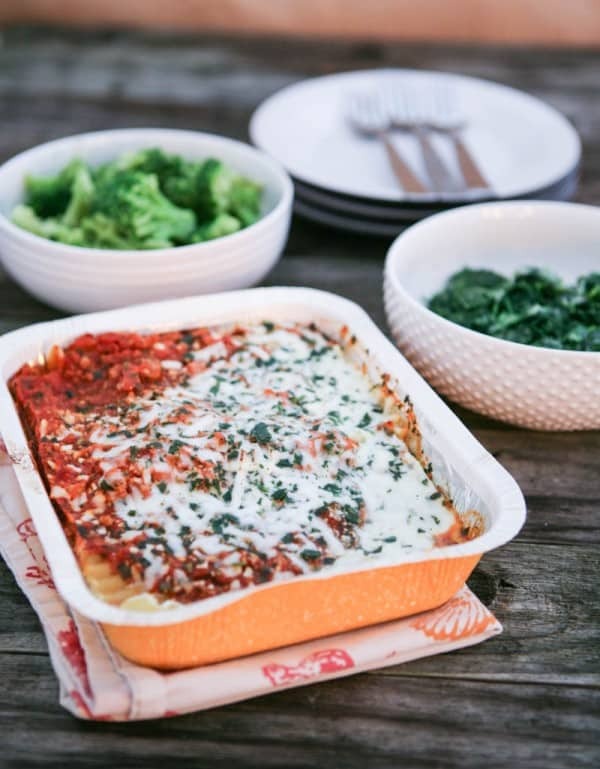 I’m pretty sure I’ve tried every variety of the Marie Callender’s entees, and they are all amazing, especially their chicken pot pie, but the family size lasagna pictured above is my favorite. It’s just enough for four people. For sides, I add Tuscan Seasoned Broccoli from Green Giant. They steam in the bag in the microwave. It’s a quick and nutritious easy side. Green Giant also has many other choices for vegetables to serve as sides. Another side I choose was Bird’s Eye Creamed Spinach. The sauce is light and not too heavy. This side also cooks quickly in the microwave. Bird’s Eye also has many options for healthy sides you’ll love. One of the other frozen food brands we love are Hot pockets and Lean Pockets for after school snacks. My son loves them, and it’s a perfect, not to filling snack before dinner time. My son really loves the Ham and cheese. Healthy Choice and Stouffers/Lean Cuisine are other brands I love. I buy several of their meals a week to have as quick and easy lunches when there’s no leftovers in the house. My favorite Healthy Choice is the Sesame Chicken and my favorite Lean Cuisine is the Sweet and Sour Chicken. Speaking of all these quick and easy foods, I can’t leave out the Buitoni brand. They’re a pasta located in the refrigerated isle you have to try if you haven’t. They have several varieties of fresh ravioli and pesto that make an amazing pasta dinner. Be sure to follow Frozen Food Foundation Facebook and follow Frozen Food Foundation Twitter too. Considering how far a lot of food travels to get to the consumer, fresh food has often lost a lot of its nutrients by the time it is actually eaten. Food meant for the freezer, though, is often frozen shortly after being picked and thus retains a lot more of its nutrients. When in doubt, I often choose the frozen option.